The path is arduous. The summit waits. Or, perhaps, a placid lake. But hasten not, nor hurry, nor anxious be to tell the journey by its end. For hither and yon along the way, in sight of all who seek, lie marvels great and small. Nature is not a monolith. Her minions wait, sometimes in bold relief, others almost beyond ken, in myriad manifestations on manifold planes: the bug’s-eye world about the feet; the sinuous patterns in rocks and roots and bark and branches; the neck-craning canopy, cliff, and cloudscape; the blushing radiance of dawn through evening’s verdant gloom; the sweet and tinglingly pungent scents; the pleasant thrum of life all around – or the breathless absence of any sound at all. 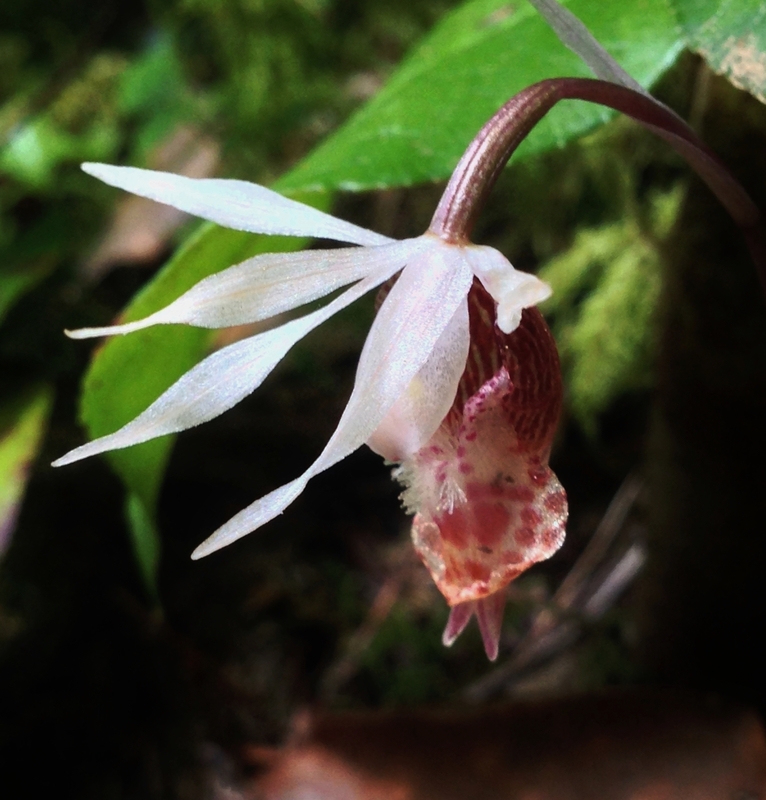 A western fairy slipper (Calypso bulbosa var. occidentalis) bows demurely from the wayside shadows. Mount Storm King, May 17, 2014. Moreover, Nature is both rhythmic and capricious. She alters her countenance with the passing of each season and hour. Her atmospheric moods, whether glowing or glowering, may shift in moments or persist for days. And, although her grand architecture may endure little changed for eons, yet, from one mountain fold to the next, her more transitory legions may spring up, or linger, or vanish on a seeming whim. Our wilderness experiences will always vary with the vicissitudes of Nature. We can only venture forth in anticipation of the treasures that choose to reveal themselves. They exist — unbidden, unbeholden — in a world of their own, yet just beyond our doorstep. On these pages, you may find a few; on their paths, may you find a trove. 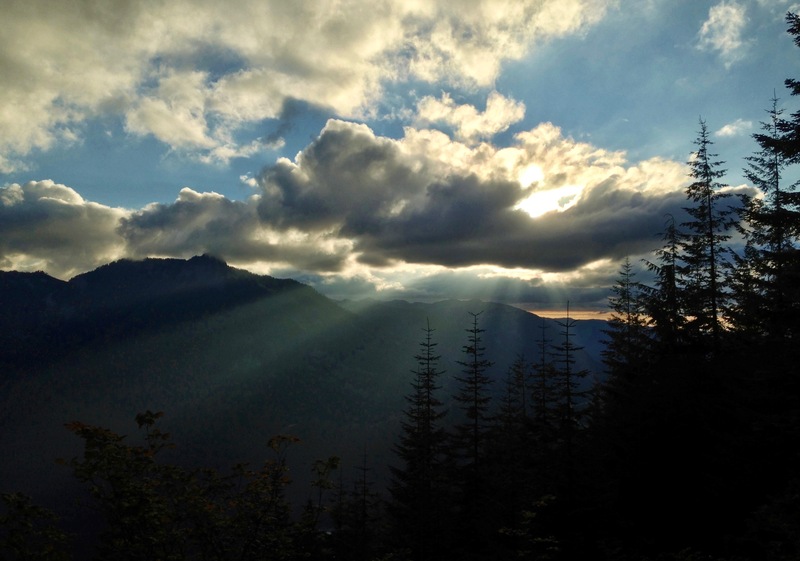 Day’s last splendor bursts over McClellan Butte and Mount Washington. Ira Spring Trail, August 18, 2013.